CPR Anywhere is a unique company that will travel to your home, office, school church, or place of business to provide you with high quality onsite training in the field of First Aid and Cardio Pulmonary Resuscitation (CPR). We offer a wide variety of classes that are recognized nationally by the American Heart Association (AHA) and most health care organizations. See Classes Offered for a complete list. 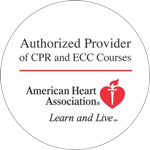 All instructors are AHA Certified and currently work in the health care field. This allows you the chance to get real life scenarios and experience for a more realistic training. Our equipment is top of the line. We have Laerdal manikins for the adult, child, and infant. Our AED trainers are Lifepak 500T models - one of the most common AED’s on the market today. 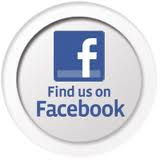 We serve clients in Baltimore, Howard County, Harford County, and surrounding regions within Maryland.